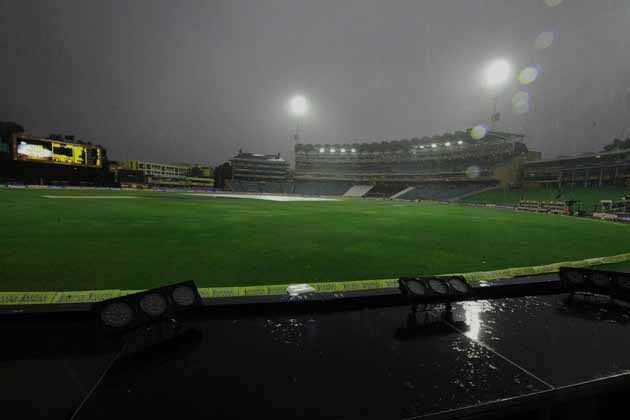 The T20 international between Sri Lanka and New Zealand was abandoned because of rain at Pallekele International Stadium on Tuesday. 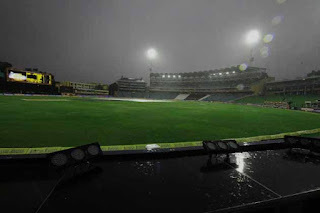 Sri Lanka New T20 captain Angelo Mathews won the toss and sent New Zealand in to bat. New Zealand earlier struggled to score 74-7,No. 9 batsman Tim Southee top-scoring with an unbeaten 21, including four boundaries in an over off seamer Shaminda Eranga.